Could these two be any cuter?!? 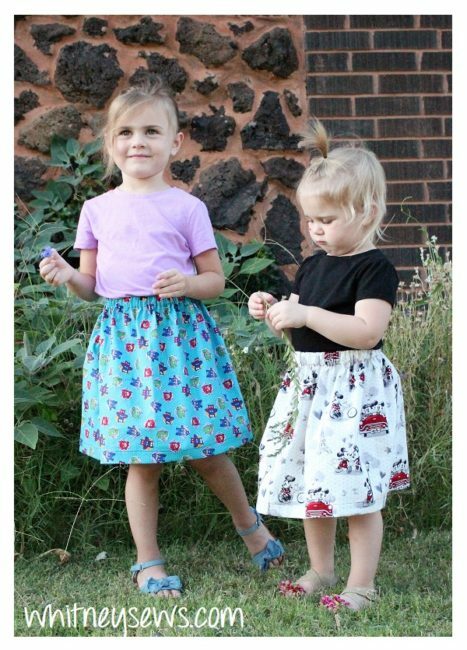 My girls love wearing skirts, so my mom and I thought it would be fun to let the kids pick out some cute fabrics and we would use them to make skirts. The skirts are so easy to make even a beginner sewer came make one in an afternoon. The first thing you need is to pick out some fabrics. We went to JoAnns to get some fun cotton printed fabrics, but you can pull from your stash as well. We ended up getting several fabrics while there and you can see everything we got in our haul HERE! The amount of fabric you get depends on the size you need the finished skirt. The fabric needs to be approximately double the person’s waist size. My kids both have 20 inch waists so I’m using the full width of the fabric which is about 44 inches. If the person is larger than 25 inches you will need to purchase more. For the length we went with a half yard. That was perfect for my oldest, Peyton, but I needed to trim about 1.5 inches off for my youngest. If your skirt ends up shorter than you wanted (or your kids go through a growth spurt!) you can add lace, ruffles, or other trims at the bottom for extra length. 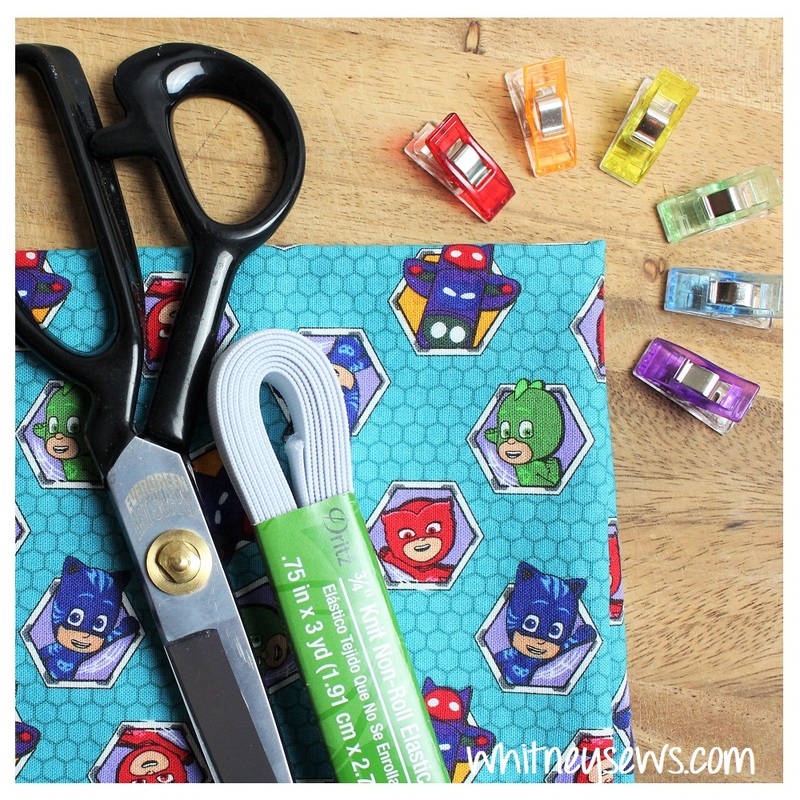 In addition to your fabric you will need 3/4 inch elastic and your basic sewing supplies. You can see my favorite supplies to use HERE! Now that you have your supplies it’s time to get started! Follow along with the step-by-step instructions in the video HERE! See! So simple to make, but absolutely adorable! If you enjoyed the tutorial make sure to share the link and if you make your own skirt I would love to see a pic so feel free to post on facebook or instagram with #WhitneySews. I’ll be back next Wednesday with the next video in the Sampler Sew Along. Until then, Happy Sewing! 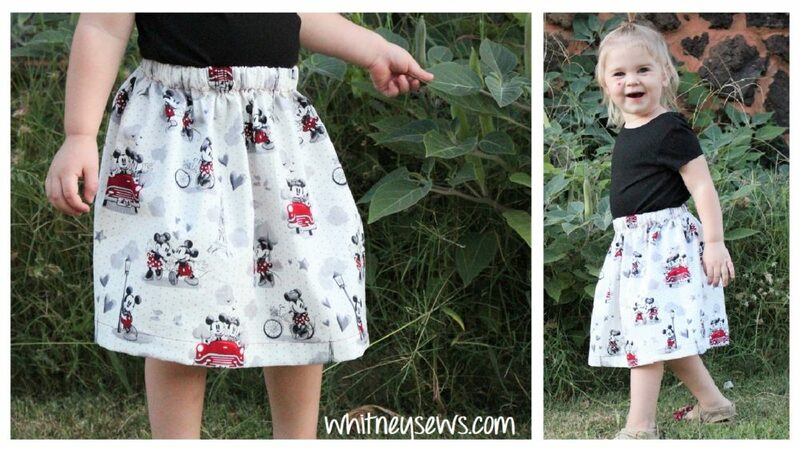 This entry was posted in Blog and tagged Clothing, DIY, Easy, How to, Kids, Sewing, Skirt.